The CSK vs RR tie may be decided in the battle between the home team's bowling attack and the away team's batting. 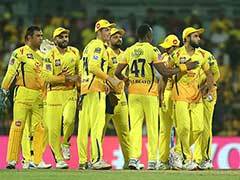 In Sunday's second IPL 2019 match, upbeat Chennai Super Kings will host laggards Rajasthan Royals. The two teams have had contrasting fortunes till now. CSK have won both their matches, while RR have lost both of theirs. The other crucial factor in this match will be how the Chepauk track behaves. The first match of this season, played between CSK and RCB at this venue, saw a total of 141 runs scored between the two teams. Questions were raised as to whether the pitch could be considered to be conducive to T20 cricket. 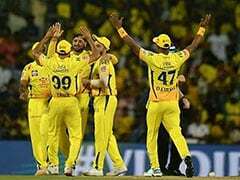 On paper, it appears that the CSK vs RR tie will be decided in the battle between the home team's bowling attack and the away team's batting. Sunday's match will be CSK's second at home, and MS Dhoni's side will again be looking to their spinners to make some early impacts. Harbhajan Singh, Imran Tahir and Ravindra Jadeja were almost unplayable against RCB, and one can expect Dhoni to turn to one or more of those three in the powerplay overs. For Rajasthan, the onus will be on their star batsmen to fire again. 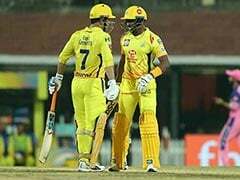 In their first match, they seemed to be on course for victory against Kings XI Punjab, but suffered a surprising batting collapse and eventually to a 14-run defeat. On Friday, Sanju Samson's ton overshadowed his more illustrious teammates. 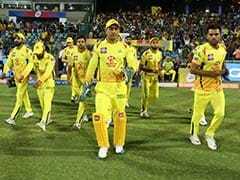 CSK and RR have played 20 matches against each other so far, with CSK having won 12 and RR having won 8.